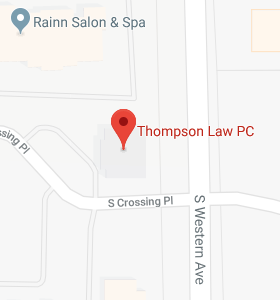 LGBT Resources - Thompson Law, P.C. Gfn.com is the first Internet media company devoted to financial services whose sole business is to address and satisfy the unique financial and legal needs and concerns of the American LGBT community. Gfn.com’s landmark product takes the form of a web-based finance magazine that currently enjoys a wide circulation. With a singular focus, gfn.com has become the definitive source of financial information for the LGBT community. GLARP is a non-profit corporation dedicated to encourage LGBT individuals, partners and businesses to give their time, talent and money to enhance their aging experience through development of LGBT retirement communities and education on aging issues, which are particularly relevant to their group. The Human Rights Campaign is America’s largest civil rights organization working to achieve gay, lesbian, bisexual and transgender equality. By inspiring and engaging all Americans, HRC strives to end discrimination against LGBT citizens and realize a nation that achieves fundamental fairness and equality for all. The Advocate is a US-based national gay and lesbian newsmagazine. It includes the GSK pride guide, forums, and links related to articles.